signed l/l, dated © ’84. He arrived in the U.S. in 1918, joining the U.S. Cavalry, & patrolled the Mexico border in New Mexico & Arizona . 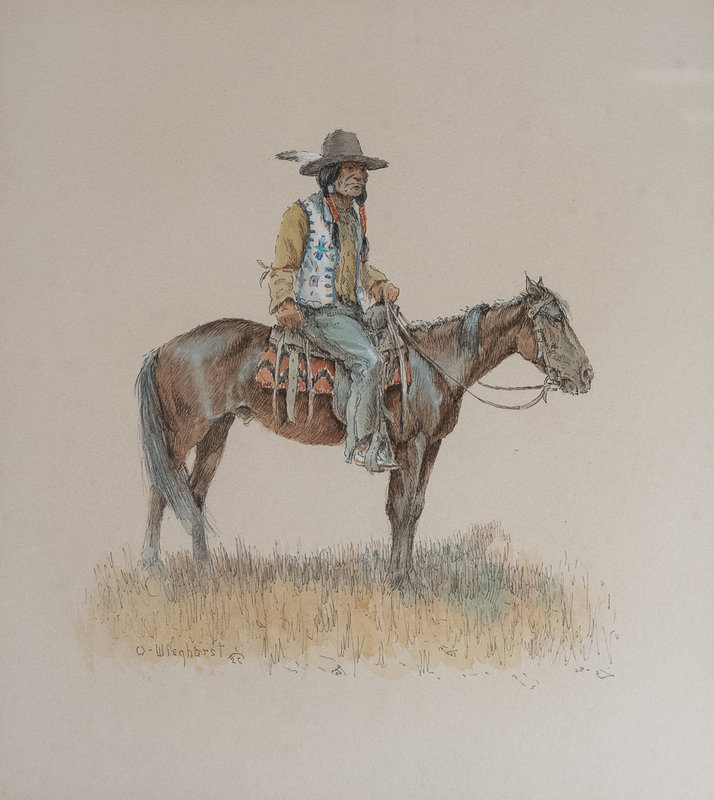 When he mustered out of the army, he drifted, ending up as a wrangler on the Cunningham Ranch near Alma, New Mexico. 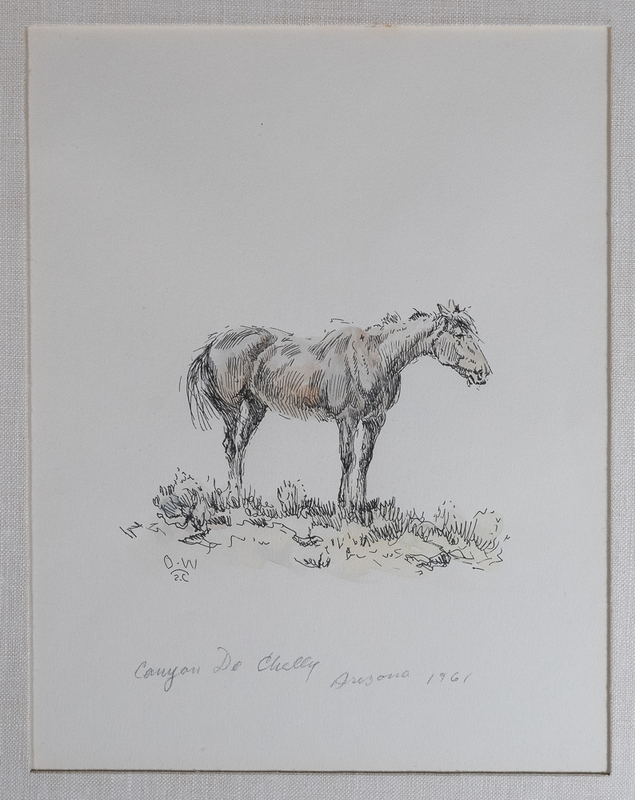 By the mid-twenties, Wieghorst was in New York City, working as a mounted policeman – his relationships with the many horses that were a part of his life became the common denominator of his paintings. Living in California by the end of WWII, he began a career that spiraled to success, in part due to his engaging personality. 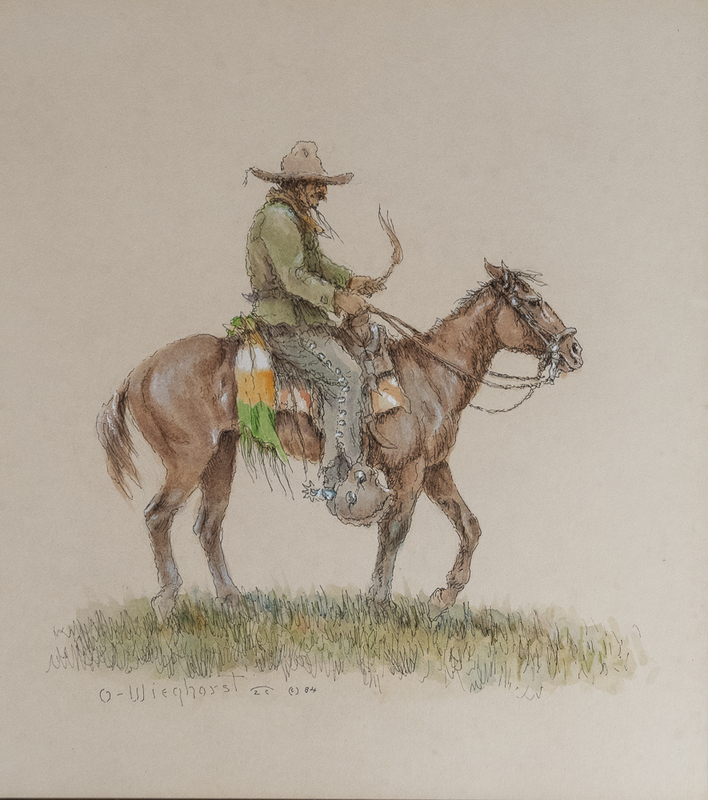 His paintings have appeared in numerous solo & retrospective exhibitions including the National Cowboy & Western Heritage Museum, Oklahoma City (1974), The Tucson Museum of Art, Arizona (1981), & the San Diego Historical Society, California (2002).